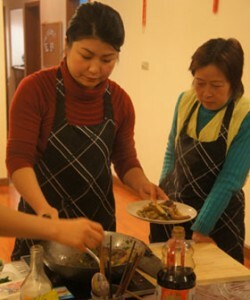 Do you want to eat the delicious, healthy Chinese food at home?You find the right class. Also we will teach your Ayi step by step, how to prepare delicious meals for your family as well as the basic tips for washing vegetables and keeping your kitchen clean. After class Ayi will bring the sample for you. When you call or email to us please give us an idea of the types of dishes you like and also any allergies you or your family has and I will make sure to cater the recipes around that. Contact us if you want more info!